Employers offer several types of contributory retirement plans. 2. Do I Pay Taxes on the 403B Plan? You may be able to invest in two main categories of retirement plans at work. Employers fund defined benefit plans, which guarantee a specific amount of money when you retire. Employees sock away money in defined contribution plans, although employers may match their contributions. Contributory plans are generally considered tax-advantaged accounts because the money you put in grows tax-free. Traditional 401(k) plans allow employees to build their nest egg using pretax or after-tax dollars. You decide what percentage of your salary you want to put into the plan, and the amount is automatically withheld each pay period. Your employer can contribute a set amount for employees or make matching contributions based on how much you chip in. 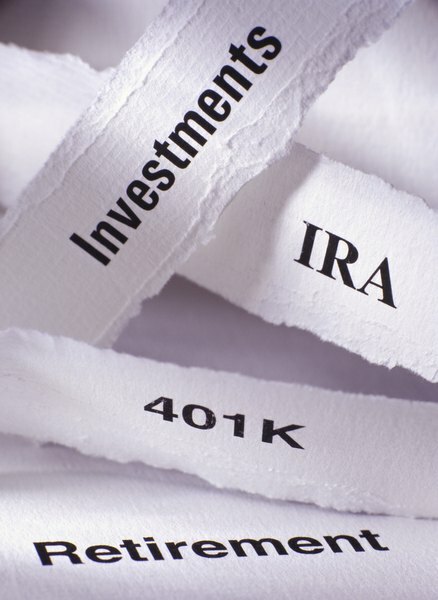 As of 2013, the most you can put into a 401(k) account each year is $17,500. If you're age 50 or over, you can add an extra $5,500. The total limit for employee and employer contributions is $51,000. A 403(b) account, also known as a tax-sheltered annuity, is a contributory retirement plan designed for public school employees and individuals who work for certain tax-exempt organizations. Similar to a 401(k) plan, a 403(b) account is also funded through elective salary deferrals, which are set up through a salary-reduction agreement. Your employer can kick in a set amount, and your plan may also be set up to allow after-tax contributions. The maximum contribution limits for a 403(b) are the same as for a 401(k). If you work for a small business, your retirement options may include a SIMPLE IRA. Typically, these types of contributory plans are designed for businesses with fewer than 100 employees. With this type of plan, contributions are optional for workers, but employers are required to put in a matching contribution or a flat percentage to each employee's account. Workers who choose to participate in the plan can put in up to $12,000, as of 2013. You could sock away an extra $2,500 if you're 50 or older. Employees of state and federal government agencies can save for retirement through a 457 deferred-compensation plan. You can put in up to $17,500 a year in your account using pretax dollars. If your employer also offers a 401(k) or 403(b) plan, you can max out contributions to both plans without a penalty. Like other contributory plans, you don't start paying taxes on the money until you make withdrawals. One key difference is that you generally won't have to pay a 10 percent early withdrawal penalty if you take cash out of your 457 account before 59 1/2.